Want to see all the technologies used by ntu.edu.tw? NTU's institutional predecessor was Taihoku Imperial University, founded in 1928 by the Japanese colonial administration. The first president was Shidehara Tan Tairaka Hiroshi. In 1945, the Republic of China won the war of resistance against Japan, and Taiwan was handed over to the Nationalist government of China. 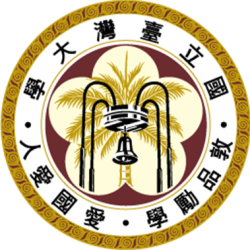 On November 15 of that year, Taihoku Imperial University was formally transferred to Chinese administration and renamed as National Taiwan University, with Dr. Tsung-lo Lo appointed as the first President. Now, the number of graduate students at NTU almost equals the number of university students, which indicates that NTU has successfully been transformed into a research university. For a quick look at additional technographic info on ntu.edu.tw or any domain on the web, download our Chrome Extension. Check out our help article to see how Datanyze Insider can help you.